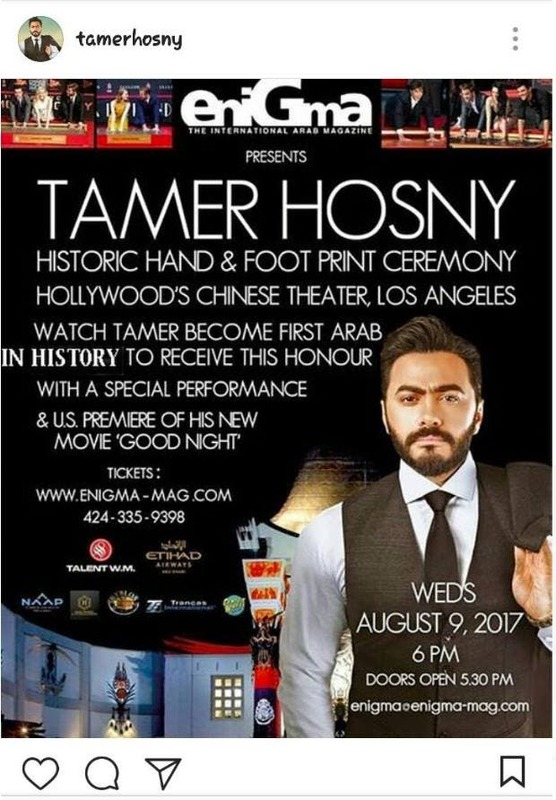 Egyptian singer Tamer Hosny will become the first Arab star in history to cement is hands and feet at the Chinese Theater in Los Angles, reported Enigma Magazine. 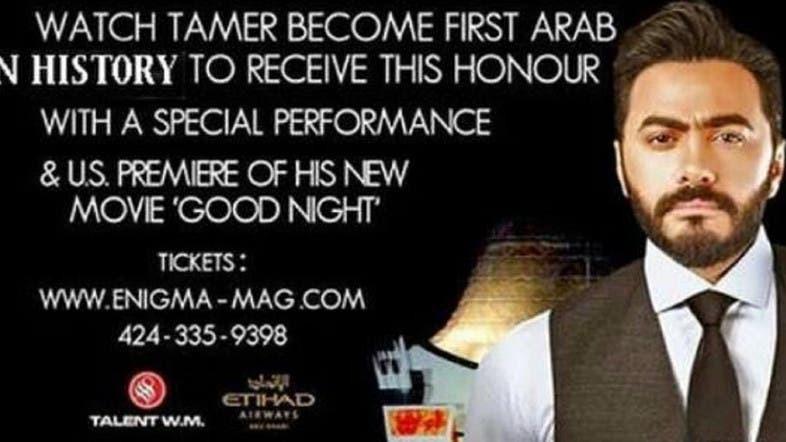 Tamer Hosny’s historic hand and foot print ceremony will be followed by a special performance and the premiere of his new movie “Good Night”. The ceremony is scheduled for August 9, 2017.